This very simple dish came out surprisingly good. I got the idea and the recipe from Gastronomos, issue 64, signed by Myrsini Lambraki. Nice weekday dish or anytime side. My husband and kids loved it. Try it. How to make: Saute the chopped onion in a big pan. Add the water and the tomato sauce. I used a good quality can of stewed tomatoes, after I pulped them in the food processor. Add salt and pepper, stir and wait until the water starts boiling. Couple minutes later add the rice (rinsed). Let it boil vigorously for a few minutes. Then, cover the pan, reduce the fire and cook for 15 minutes. Be sure to check if there’s enough water as different varieties of rice require more water. I used “karolina” rice and I didn’t need to add more water. Don’t stir the rice while it’s cooking. When ready, cover the pot with a towel and let it stand for 10 minutes. 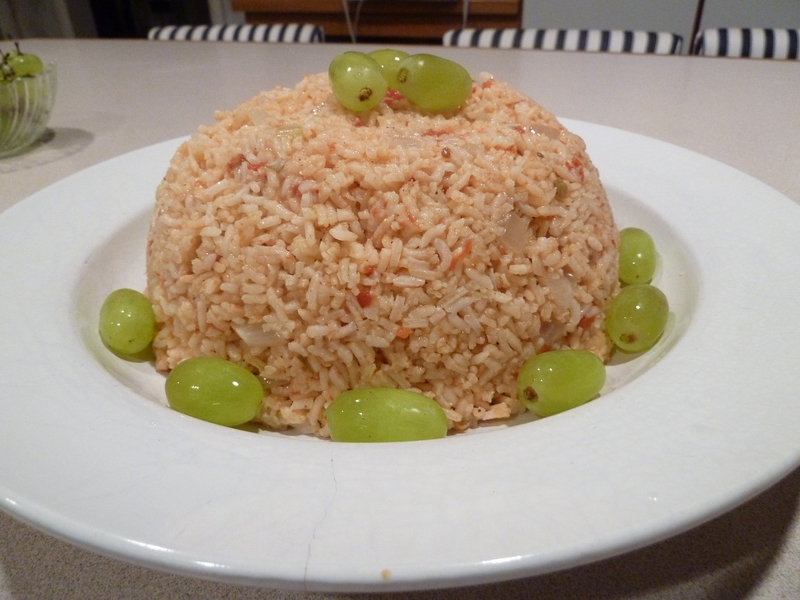 Serve with grapes. 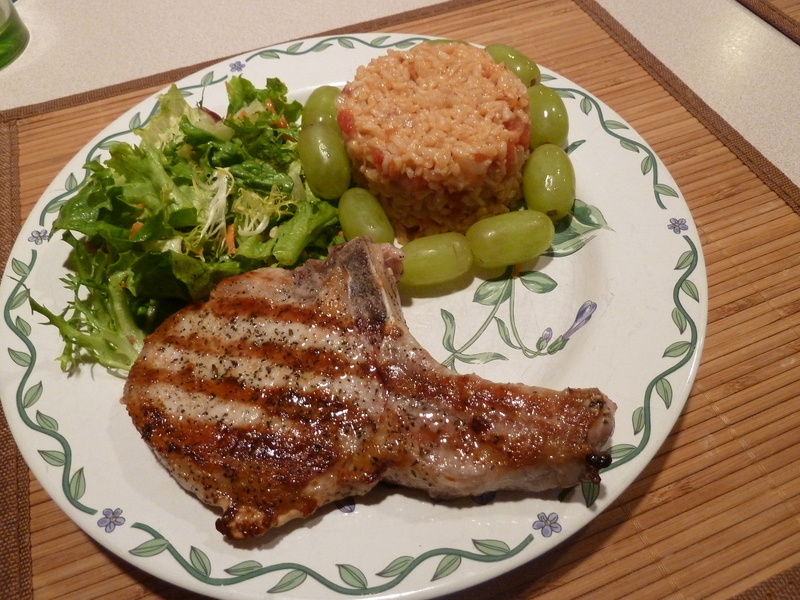 Here’s the rice with tomatoes as side to pork chops. Tomato and rice it was spectacular! It reminded me of Greece.